Capers traditional add-on with unparalleled taste taste for connoisseurs and chefs. Some of us consider them fruit. Other for vegetables. Others have not even heard of capers. And even if you’ve measured them in the store, you may have missed them because of their relatively high cost. Their taste, however, is worthwhile. You can add them to salad, spaghetti and sauces as well as to various dishes of meat, fish and vegetables. They are olive-green balls and their name comes from the island of Cyprus where you will meet them abundantly. Capers are not really a new “fruit” in the history of mankind, because the first written records about them date back to about 2700 BC. What are they and where they come from? The capers are insoluble buds on the tall, spiny shrub called the captain. It is these flower buds that are picked by hand, just before they break out – in April and May. If not picked up, beautiful white flowers with many stamens appear to wither in just a few hours. The capers’ flavor resembles that of the mustard, and their taste is hot. In this way they will not impress you at all. This is the reason for the further processing, which is drying and canning for about two to three months in the acetic marinade. Capers are then saturated with a pleasant lemon flavor and become quite appetizing to eat. Capers (mostly larger ones) are sold, which are only rolled into a large-scale salt which must be washed before consumption. Their native land is the Mediterranean, but they are grown in many places. Particularly prevalent in southern Europe and North America. They are on the Crimean peninsula, in the Caucasus, Algeria and Central Asia. Collecting capers is a very labor-intensive job, which explains their high cost. The most expensive are the capers growing on the island of Santorini and in southern France. They have a very strong aroma and captivating lemon flavor. The Greeks prepare even the young twigs and the leaves of the Capras bush, again marinated. Their taste is not very different from that of the buds themselves, so they are the perfect spice for salads and seafood specialties mostly. Do the capers have nutritional value? 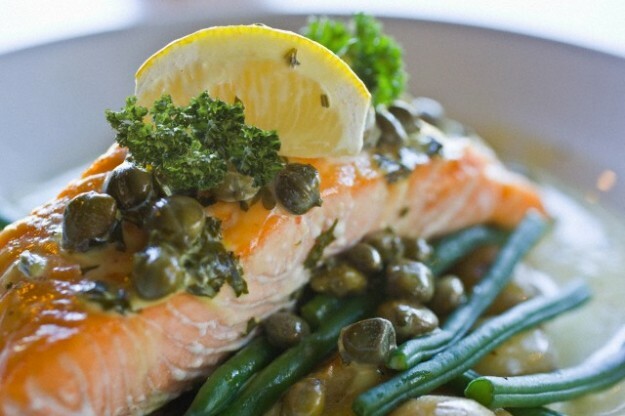 Capers are low in calories – in 100 grams calories are only about 23. They contain proteins, proteins (over 25%) and carbohydrates. Very rich in fiber, vitamins – mostly C, as well as organic acids, sodium and iodine. Their seeds contain up to 35% butter. The good news for them is that they do not pass through heat during processing, and this preserves their most beneficial substances. Decoction of the colors of the caper is an excellent antiseptic and analgesic remedy. It will help in wound healing, strengthening of the heart and thyroid gland, toothache, neurosis. 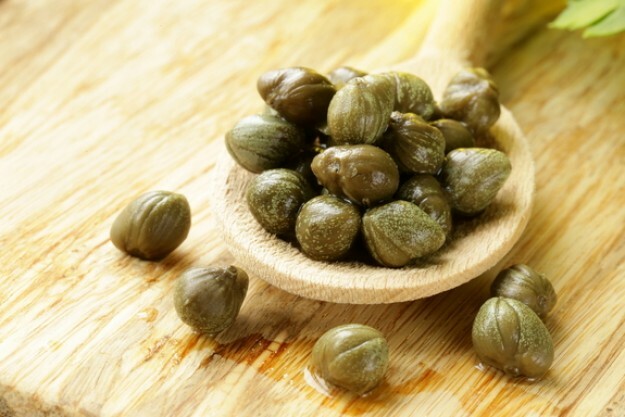 Capers are not recommended, however, in people with kidney, biliary and liver disease. Capers can add almost anything or simply eat them from the jar – the taste is quite addictive. Perfect for tomato sauces, both for fish and various seafood delicacies. You will not be wrong if you add them to vegetables, pasta and chicken. It is important to remember that when you put them in a soup, you do not need to add extra salt. Adding them to the end of cooking so as not to lose the concentrated flavor and be frugal with them – they should not intrude on the main flavor. On storage – marinated they can stay up to nine months in the refrigerator and dry and salted – about half a year at room temperature, but such country is hard to find. Capers are especially valued in culinary and their “position” is completely deserved. Their spicy taste is not for everyone, but those who have once tried it, they love it forever.